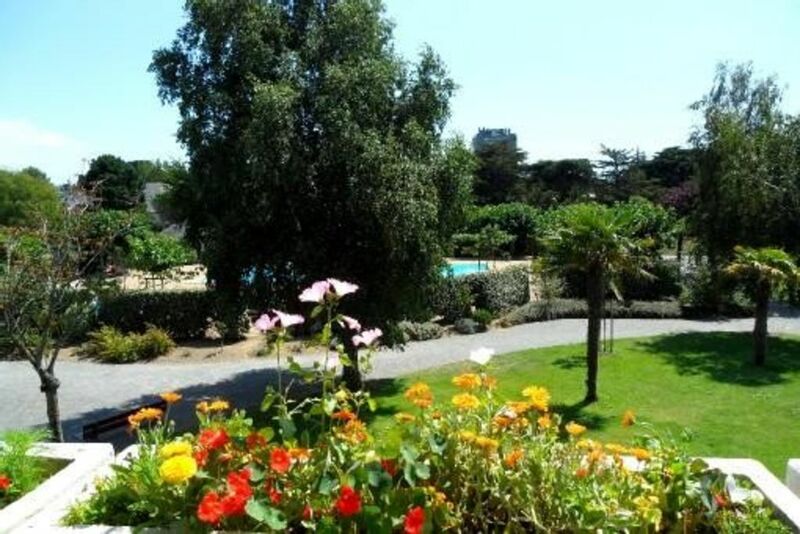 Private rented by the week from April to October, apartment for 5-6 people in residence with swimming pool (open from June 15 to September 28) near Casino area in La Baule (600 meters from La Plage Benoit). - a fitted kitchen with washing machine, dishwasher, microwave oven, electric hob, refrigerator, utensils and crockery. Access to a private pool. • a large terrace with table, chairs, umbrella, grill. • fitted kitchen with washing machine, dishwasher, microwave, electric stove, refrigerator, utensils and crockery. Très bon séjour, rien a redire. Large balcony facing south overlooking garden and swimming Park. Golf: Practice Guerande 5 minutes by car and 15 minutes journey.